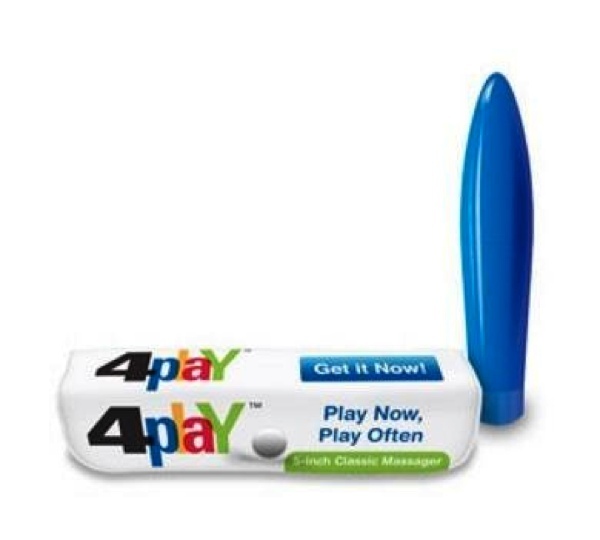 4 Play Massager LITNV046. Play now, play often. Little Genie Novelties unique and original 4 Play massager is a handy 5 inches long hard plastic novelty slimline massager in a nifty case. Requires one AA battery, not included. Phthalate free, non-toxic materials: ABS plastic. Little Genie Novelties.